From Goodreads: After spending the last year undead, Kaylee Cavanaugh has had enough of the paranormal creatures who have plagued her ever since she came into her banshee powers. Now she's ready to take her school back from the evil hellions, once and forever. To say I couldn't wait to get my hands on this book is a massive understatement! But at the same time, knowing it was the last in the series, made me hesitant to read it. Not because I was worried I wouldn't like it - but because I didn't want the series to end! And what can I say? 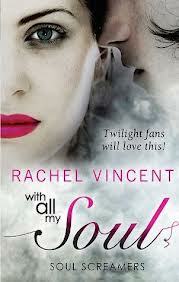 Rachel Vincent has outdone herself with this - it is such a brilliant end to one of my favourite series! It's really hard to review this one as I really don't want to give out any spoilers. 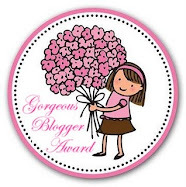 But lets just say that the stakes are raised event higher and I had no idea how Kaylee & co would get out of this one! One of the things I absolutely love about Rachel Vincent's books is not just how well they are written (and the awesome characters!) but how well plotted they are. Everything falls into place brilliantly - but I never see any of it coming. She always manages to surprise me with details I had completely overlooked - it's one of the things that continues to amaze me with her books. So does all end well for Kaylee and her friends? Well, you are just going to have to read it to find out! I can't wait to see what Rachel Vincent writes next - and I know I'll be first in the queue to read it.